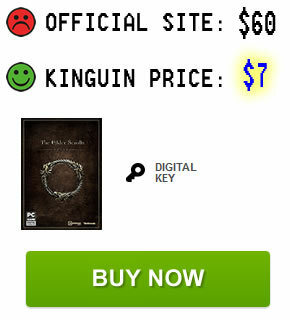 In many ways The Elder Scrolls Online doesn’t attempt to revolutionize MMORPG genre, which is a good thing. The character progression and leveling was in many ways already proven to work in other games, and TESO doesn’t stray too far from the basics. 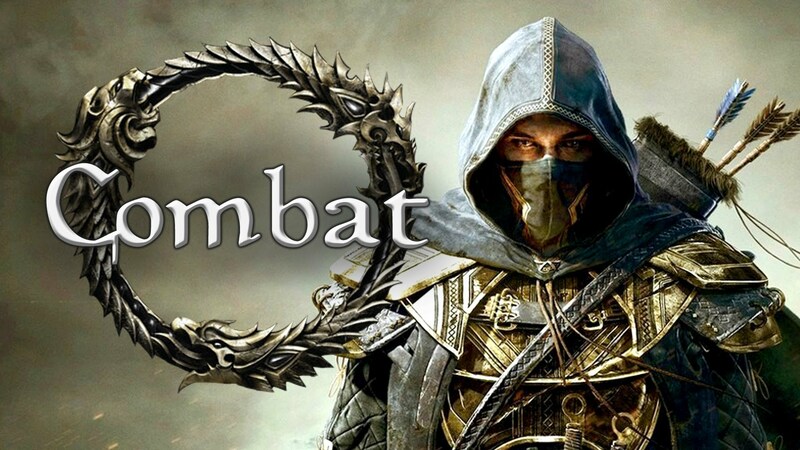 Combat system is also nothing groundbreaking either, and players who have experience with previous Elder Scrolls games will feel right at home. That being said, ESO does feature a few unique systems and mechanics that make combat more dynamic and interesting, and this beginners combat guide will take a basic look at some of them. Every character has a skill bar with six slots for abilities. It may seem like you’re severely limited in that choice but you can change your active spells depending on your needs, and even use two sets of spells with weapon swap. You can place up to five different abilities on your action bar at any given time. You can combine them from your class, weapon, armor, guild or other skill trees and get the right combo to suit your purposes. Most skills will of course only work if you have the right weapon equipped so make sure you plan ahead and don’t intend to switch back and forth between different weapons early on in the game. By using a particular weapon for awhile you gain mastery in that specific weapon and can improve your skills in that weapon by spending skill points. The last (6th) slot on your hotkey bar is reserved for your ultimate ability, which is unlocked eventually by using spells in a particular skill line. These are extremely powerful abilities which can’t be cast constantly during combat as they can have dramatic effects, and your first ultimate spell should be available at around character level 6. Choosing the right ultimate ability is often all about synergy with your other spells. Weapon and armor skill lines don’t have any ultimate spells, instead they come from your class, guild or world skill lines. Additionally, by using a particular type of armor (heavy, light or medium) you can advance in corresponding skill lines as well. Spending skill points into a specific armor type can give you a variety of bonuses, such as increased damage or healing, or a cost reduction when using certain spells. Weapon skill lines have plenty of different active and passive abilities, but armor skill lines have one active ability each and several passive ones. Passive abilities don’t need to be slotted to your action bar. Assuming you spent a skill point into one it’ll be always active if its requirements are met (having skill points into Heavy Armor passives while not actually wearing any Heavy Armor will of course not provide you any benefit). For a more detailed overview of skill points and skill lines see our article about character leveling and progression. It will help you get a better grasp of its basics. TESO uses a so-called soft-lock targeting system, meaning you have to select an enemy to attack it (tab targeting). However you still have to aim your attack towards the enemy, the targeting is mainly used to focus which enemy you want to attack in a group of enemies. Attacking an enemy with a bow for example does require you to aim precisely, however unlike in Skyrim if enemies move to the side slightly your arrows will still lock onto them. That being said, you can’t simply click your mouse on your target and cast spells in any direction to hit them — you need to be facing your target, especially if you’re casting single-target spells among multiple enemies. The Elder Scrolls Online allows you to switch weapon sets mid-combat, for example you can switch between a bow and a 2H weapon in the middle of the fight. Swapping weapons will also switch the abilities and spells on your action bar, allowing you to better adapt to various combat situations. We previously mentioned you are somewhat limited in ability choices by the size of the action bar, but weapon swap enables you to practically double your available abilities. Adding or changing abilities on your action bar can only be done outside of combat. Weapon Swap is available once your character reaches level 15. It’s worth noting that unlike in Skyrim spells do NOT need to be “equipped” to your hand, meaning you can wield a two-handed weapon and still cast spells in the same time. Blocking attacks is available to all characters and classes, and requires stamina to be used. Blocking an attack can completely negate its damage, but also cause your enemy to temporarily lose balance and be attacked freely and exploited for additional damage. Blocking isn’t just for shield users as you might expect, as veteran Elder Scrolls players are surely aware; you can block even with your 2H weapon or when dual wielding. Blocking is done by right-clicking while an enemy is preparing to attack you. You won’t be blocking constantly but some charged attacks are important to block since it reduces their damage significantly or completely, so you should get accustomed to using this mechanic quickly and frequently. It’s especially important in dungeons where tanks can’t always keep aggro, and even if you’re standing way back and casting spells monsters will come and attack you, and you don’t want to only rely on your healer to keep you alive. Dodge allows you to move out of an attack by double-tapping directional keys. Same as with block, dodging also expends your stamina. Dodging attacks can be extremely beneficial, especially in groups, and has added benefits as well such as gaining additional finesse/ultimate points. You can also dodge many spells coming towards you from monsters with the dodge mechanic. Some mini-bosses even early on in the game can be particularly nasty if you don’t evade their spells! It’s essentially just another tool in your arsenal of ways to keep yourself alive, and one which you should also use at all times. Sneaking is an integral part of previous The Elder Scrolls games and TESO made use of the system to further add variety to combat and play styles. Stealth allows you to sneak past enemies undetected, but does slowly drain your stamina. Stealth can be performed by any class, but Nightblades for example can get special bonuses from their class skill line, as can some races. The first attack from stealth also deals a guaranteed critical strike, making it a viable tactic for more challenging content or PvP. Some enemies in PvE can also drop disguises when killed enabling you to equip them and move freely in hostile areas, however getting too close to enemies can make them aware of your presence. You will come across this very early into the game on certain quests. While these quests can typically easily be completed by simply killing everything in your path, with short respawn timers of monsters sometimes you just want to skip them and go for quest objectives, and disguises help a great deal with that. Wearing a disguise doesn’t unequip or replace your current armor. Synergy between some abilities and spells truly makes combat in Elder Scrolls Online feel unique. It’s especially important for groups of players to try and take advantage of synergy between their spells as it can cause devastating effects on enemies. An example of synergy is a spell “Nova”, an AoE attack that can be interacted by another ally and transformed into a “supernova”, boosting its damage significantly. Being active during combat and paying attention to your allies’ spells can be immensely helpful. Players generally have to be in range of a spell and “activate” it to gain the synergy bonus or benefit. Nearly every skill line has one or more spells or attacks which have synergy, and all Ultimate skills have them. In groups you can rapidly accumulate finesse by using synergy with various abilities, and of course deal significant extra damage, crowd control or other effects. Players aren’t the only ones taking advantage of the synergy system though, as NPCs can also make fights more interesting and challenging. As an example an enemy can throw tar on the ground, and another enemy can use a fire-based spell to ignite it. The full extent of this system is best seen in dungeons and higher level areas where monsters often complement each others abilities, thus always keeping you on your toes. Finesse is a great and rewarding system which encourages players to use their abilities properly. Finesse points are gained by successfully attacking, dodging, blocking or interrupting an enemy. Since ultimate abilities require finesse to be cast, performing the aforementioned combat actions will enable you to use ultimates more often. A secondary benefit of finesse is that you gain more experience and items from slain monsters. In a group setting finesse and ultimate points can be acquired more quickly, so it’s important for every player to watch out for synergy and defensive moves. Battling against NPCs and AI is designed in a way to mimic combat against players as much as possible. As such ranged monsters will often fan out or try to kite you, melee ones will protect ranged casters and similar. AI-controlled monsters are also smart enough to take advantage of synergy system as well, so at times they can be quite challenging as well. Monsters more than often use empowered attacks or channel spells which you can easily interrupt or block, and it’s highly recommended to do so. Paying attention to your surroundings, evading and blocking attacks, interrupting opponents and properly chaining your spells and crowd control spells can easily help you beat almost any content in the game. Overall the game follows the traditional combat style while also adding some unique elements and mechanics to it, making fights more unpredictable and in the end more fun. Having to think about synergy and actively encouraging players to perform successful blocks and interrupts adds a completely new dimension to combat that is more challenging and rewarding. Click here to learn more about ESO’s mechanics and get tons of other advice, tips, tricks and strategies for any class! What’s your favorite combat feature in Elder Scrolls Online? Do you like the current systems of finesse and synergy or do you prefer the simplistic nature of combat in other MMORPGs — tell us in the comments below! Published 1897 days ago This entry was posted in Game Info, Guides and tagged action bar, blocking, combat, dodging, finesse, mechanics, skills, stealth, synergy, targeting, ultimate abilities. Bookmark the permalink. I keep getting blocked from setting up y weapon swap with the comment I can’t because of my character status? Where can I find info on this? Your character must be level 15 to unlock weapon swap. Of my 3 characters, 2 are well above that, but I still get that message…?? Am I missing something else? Probably a stupid question but can’t think of anything else, but do you have a weapon equipped in both slots/bars? It might not let you swap unless you have something equipped. Additionally you can try unequipping and re-equipping all of your gear, perhaps that fixes it. Or it could be that your character is stuck in some sort of stance like Werewolf, or some weird bugged quest state… I’m afraid I’m out of ideas. If the issue persists I would suggest contacting the in-game support, I’m sure they’ll be able to assist you with the problem. If you find a solution you’re welcome to post it here, perhaps someone else has the same problems. Thanks, it fixed itself about 3 hours later.. no idea what was going on??? Oh well it’s fixed now! Thanks for the help! It happened to me earlier. I have an Ultimate ability that can be toggled on and off (the sorc storm lightning one) , when it was toggled, I couldnt swap weapon and had the character status message as well. Un toggled the ability, and it was fine. Is the game basically like an average mmo thwt thsy just skinned for a skyrim look? In my opinion it’s one of the better MMORPGs out there, and has plenty of features and content to keep your entertained for several months (though sadly, not years). Regular updates do keep it somewhat fresh, and since there’s no subscription anymore it’s great to come back to it once in awhile. Elder Scrolls themes including Skyrim are just a bonus for many.